South Africa is a beautiful country to visit. There are so many reasons to explore this country. If you are planning to visit this country on a trip, then you will never be disappointed. This country has something for everyone. 1. Kruger National Park : One of the most beautiful parks in the African continent. It is one of the oldest established game reserve in Africa. 2. 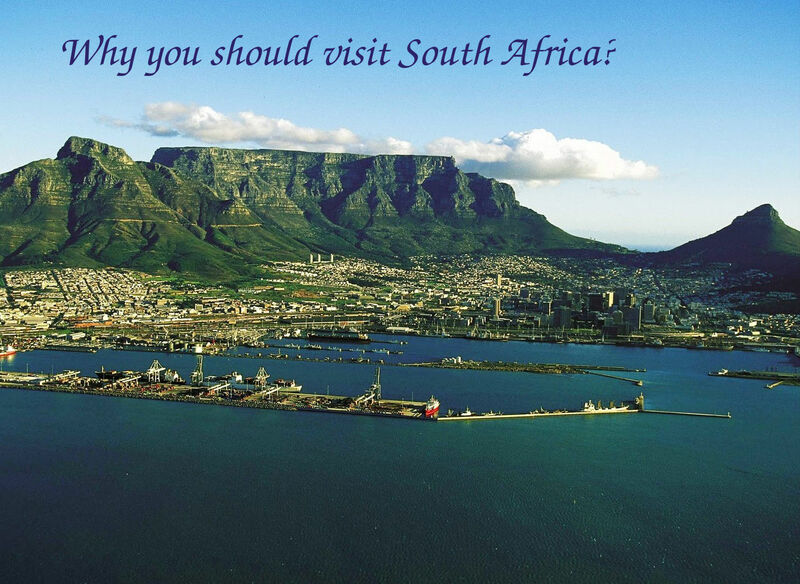 Cape Peninsula tour : Visit Duiker Island and travel along scenic coastal roads to Hout Bay. Also you can explore the beautiful Kirstenbosch Botanical Garden and lots of other beautiful places. 3. Beautiful landscapes, deserts and national parks : Just hire a car there and drive between these beautiful landscapes. Its a great way to experience the country with your own freedom. 4. South African wines : Enjoy South African wines in the wine region. Its just a few kilometres from Cape Town. 5. Visit Hluhluwe and Umfolozi : Both are country’s oldest wildlife areas. 6. Garden Route : Driving along the Garden Route between tropical forests and beaches. 7. St. Lucia Wetlands : A unique park in the world for the incredible diversity of ecosystems. It is situated on the east coast of KwaZulu-Natal, a worth visiting place there, especially for birdwatchers.